10 vehicle L7 GPMGs 15mm or 1:100 scale. 10 vehicle MILAN launchers 15mm or 1:100 scale. 10 vehicle TOW launchers in 15mm or 1:100 scale. One helicopter stand suitable for 1:100 scale helicopters. One Bedford MK or MJ truck in 15mm or 1:100 scale. 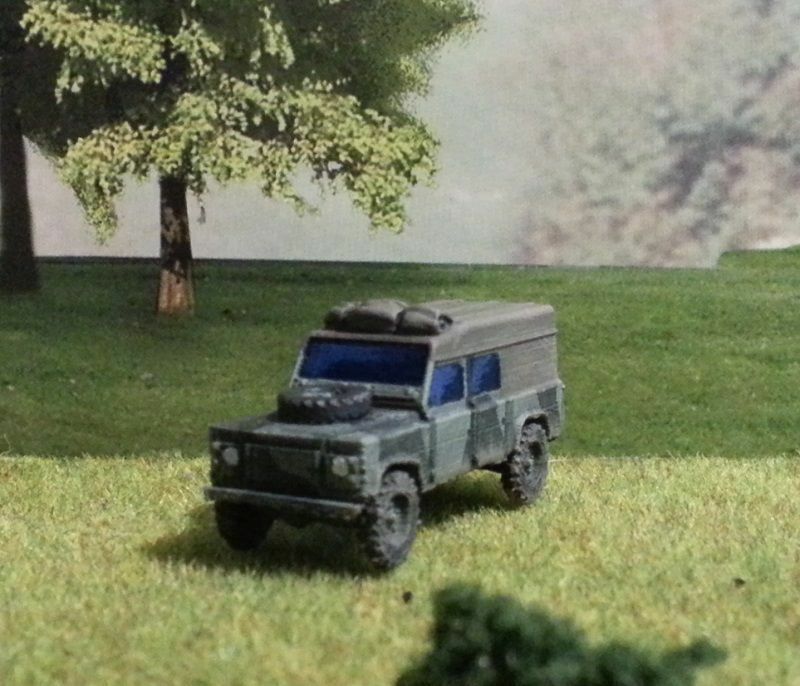 One Swedish BV410 or British BvS 10 Viking, All Terrain Vehicle (protected) - ATV(P) in 15mm or 1:100 scale. One Centurion Mk1 (A41) prototype with 17 pdr gun in 15mm or 1:100 scale. One Centurion Mk3 in 15mm or 1:100 scale. One Centurion Mk5 in 15mm or 1:100 scale. One Centurion AVRE Mk5 165 in 15mm or 1:100 scale.